When we think about our habits and our daily routine, we often rush into the sixth house of one’s natal chart and this leaves little room to understand the motive behind the act. This is a house of our physiology and the manifestation of our routine, just like the second house tells the tale of our eating preferences and our need to consume and spend all material things in life. Still, these are mere manifestations of a deeper inner state and when it comes to matters of habit, we will see that they all hide inside one’s Moon and fourth house ruler, rather than anywhere else. Depending on the position of the Moon, planets peeking from our fourth house and its ruler, we will recognize some basic patterns and possible problems with one’s approach to their body, and for that matter – their entire existence. We are all creatures of habit and many unconscious processes happen in our life day after day, triggering different responses in our physiology, undoubtedly affecting our emotional state and all areas of life that make us feel joyous, anxious or troubled in any way. If we wish to determine what hides behind the act, we must always check the emotional foundation in the natal chart, for just as we aren’t to forget the importance of the Sun in all its gravitating warmth and glory, we shouldn’t think of the Moon and its symbolism as equal to that of planets. The Moon is the core of sensitivity, in control of Earthly tides and our own inner Waters and stands for the field of all habits we nurture, from the moment we wake up in the morning, brush our teeth, choose our breakfast, to those of midnight eaters and addicts of any kind. Our Moon will speak in its own words, through our choice of coffee or tea, the direction in which we stir our soup, and any small and seemingly insignificant thing you can think of that we repeat every day, every week or every month. Morning is the time of day when we are supposed to find grounding. We can see that our human need to separate from planet Earth shows in the simplest of things, for coffee, reading, television, and our instant focus on our phones tend to lift us into the element of Air where we shouldn’t go as we come into the realm of awareness awake and ready to start our day. Cigarettes have the same effect and so do medication, and all intriguing conversations that should wait for a different time of day, so we can stay balanced. To ground ourselves and start our day fresh and healthy, we are to eat something enjoyable, drink some warm tea, exercise, and get all physical work done, this including house cleaning and chores that fill us with fresh energy and cleanliness of the material world we live in. Universal healthy choices apply to the rest of each day as well, and our focus should slowly turn to Air related issues as we prepare ourselves for sleep. The middle of the day is spent in a workplace for a reason, when our lifted energy makes us productive and at the peak of our strength. This is also a time when our stomach can metabolize food quickly and it is only natural that we won’t need much of it as the evening comes and we turn to socializing, fun activities, music, our computer, and as our body prepares for sleep. Although it isn’t possible for many to choose the perfect order in which things will get done, we will see that the smallest of changes to our routine, especially in the morning hours, will influence the course of our life greatly and make us energized and ready to face any challenges brought on us by the rest of our possible imbalances. While the second house might give answers about preferences of the individual, what they choose and like to eat and what they avoid, it is just an image in the material world that links onto our rivers of ancestors, our genetic inheritance, and our complicated unconscious existence. We will see our cravings through Venus and the second house ruler, and their aspects serve to show our desires and emotional needs we tend to tuck away using food. Those of us who aren’t prone to overeating or too many unhealthy choices might still have a trine of Venus with Mars that will show the love for meet, even though other areas in their chart might say that this isn’t really something they can metabolize well and takes away their energy. Our perfect diet is seen through positive aspects of the Moon, our fourth house ruler, and the most beneficent things in their position in a sign and house. Squares and oppositions of these entities speak of food that doesn’t make us feel right. For example, if a person has a square of the Moon with Mars, they should dial down on their consumption of meet and spicy food. An opposition with Mercury will bring more misunderstandings and conflicts if too many snacks and seeds are ingested. 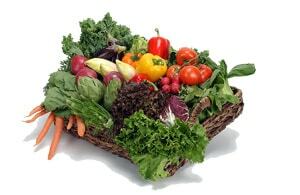 A challenging aspect with Venus speak of gluten intolerance, trouble with sugar, colored food and artificial additives. Neptune combined with one’s fourth house, its ruler and the Moon emphasizes our intolerance to toxins and many people with a touch of these entities won’t feel good even if they are in a dim room or surrounded by intense smells. Neptune will intensify any allergies and symptoms given by the wrong choice of diet for our physiology, and all delusions, haziness and our inability to connect with the real world come primarily from its realm. The best way to approach our day and changes we wish to make to our routine is taking them one step at a time. The call of ancestors will be loud and our cravings too strong to handle if we try to change everything at once and suddenly turn to our positive aspects, entirely avoiding primal instincts of Venus and the second house. People who have a positive connection of Venus with the Moon or carry their conjunction in a natal chart find it easier to determine what they really need. In an ideal world of our physiology, we would all rely on these two entities to tell us through hunch what our body really needs. However, if there is a conflict between them or a discrepancy that separates their needs, we are to turn to needs of the Moon and realize that Venus works from our subconscious world, connecting us to things we might not need as much as we feel we do. This doesn’t mean that Venus should be in any way neglected, but it isn’t supposed to deal with daily issues, our hour to hour needs and choices. This part of our life naturally belongs to the Moon. To balance out these inner needs, we should slowly turn to choices that are seen in positive aspects of our sensitive feelings, eat in symbolism of supportive aspects of the Moon and our fourth house ruler, using their sextile with Saturn to eat just as much as we need to use everything our food has to offer, or a trine with Jupiter to return oily substances into our body, as if to make our entire life smoother. In a perfect balance, our body would tell us what we need through the Moon and Venus would bring and summon these material things to feed it. It is the baby we all once were that understands the exact pattern of physical needs, and our grown, sensual woman should feed it instead of giving it something she loves to take herself. Venus is supposed to make offers, diversity and color, while the Moon senses what it likes and dislikes. Make your choices slow and sensitive, aware that astrology offers answers on where to look and what to turn to in order to cleanse your emotional world, rivers of ancestors, and every need in your life that hasn’t been met in the past.